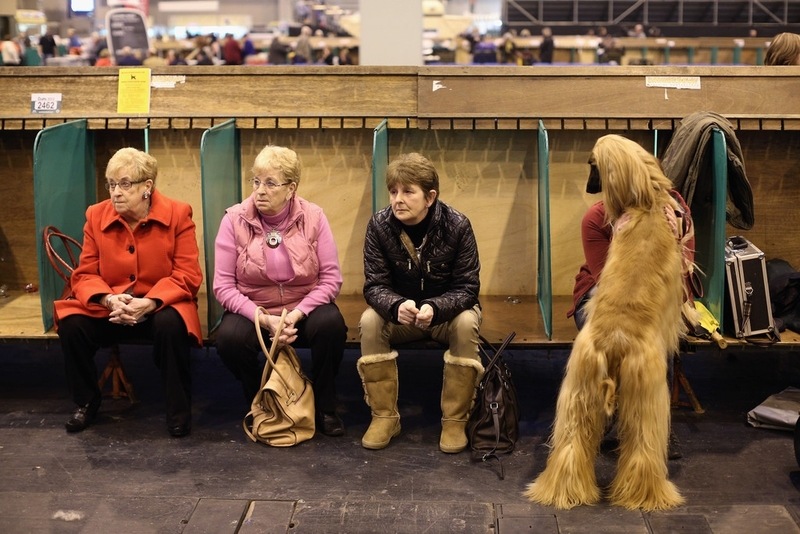 A dog owner sits with her Afghan hound at the end of the first day of Crufts dog show at the NEC on March 7, 2013 in Birmingham, England. The four-day show features over 25,000 dogs, with competitors traveling from 41 countries to take part. Crufts, which was first held in1891, sees thousands of dogs vie for the coveted title of 'Best in Show'. - high-definition photo for free download.